It was really a nightmare staying in this hotel even for one night. The service is very poor. We took the breakfast deal and we were not even informed that the breakfast was at. 9 a.m! We were waken by the valet! We put the DO NOT DISTURB card on the door, nonetheless we were DISTURBED! When we went to take the breakfast at 10 a.m, the guy at the counter was very UNPOLITE, saying that we cannot have breakfast! We had to drink only water even we had paid for the breakfast deal! When we went back to our room the door was locked and the we had to wait more than 45 minutes for someone to change the battery on the door and open the door for us! It was a complete ordeal and nightmare to stay on that hotel! We will NEVER come back there! shower was all most impossible, no hanging for the shower stude. led lights strips blinking and impossible to turn off. 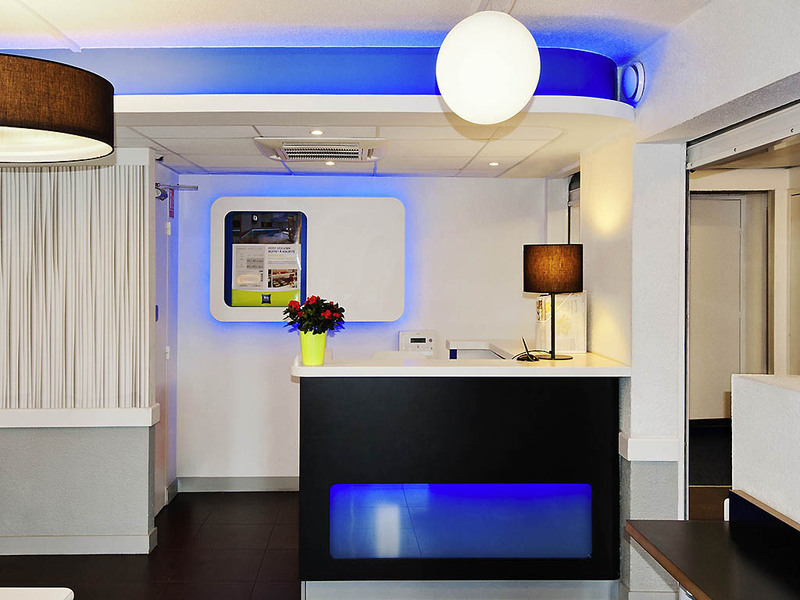 We stayed in another Ibis prior to booking here - the experience was completely different. The hotel itself is an old building. We had no confirmation &amp; had to check in electronically, as there was no staff. The room was clean, but littered with cigarette burns &amp; smelled of stale smoke. The bathroom light wasn't working &amp; it smelled like a sewer. The gentleman at the reception desk did arrive in the afternoon (it seemed to be his assigned shift). He was very professional &amp; kind - he fixed the bulb immediately &amp; was helpful with other situations and questions. Overall, with the exception of the gentleman at reception, this hotel was a terrible disappointment. Rooms are tired need a makeover. Toilet are was smelly drainage problems. Noisy room because the windows are very old so we could hear the cars passing. Other than that, no problem - the typical budget room. We were able to book it in the evening for a same night stay so that's a plus for ibis budget. Ecran tacticle de reception perfectible. Toilet smelled all the time, not very nice, shower is a small little box, beds are hard.